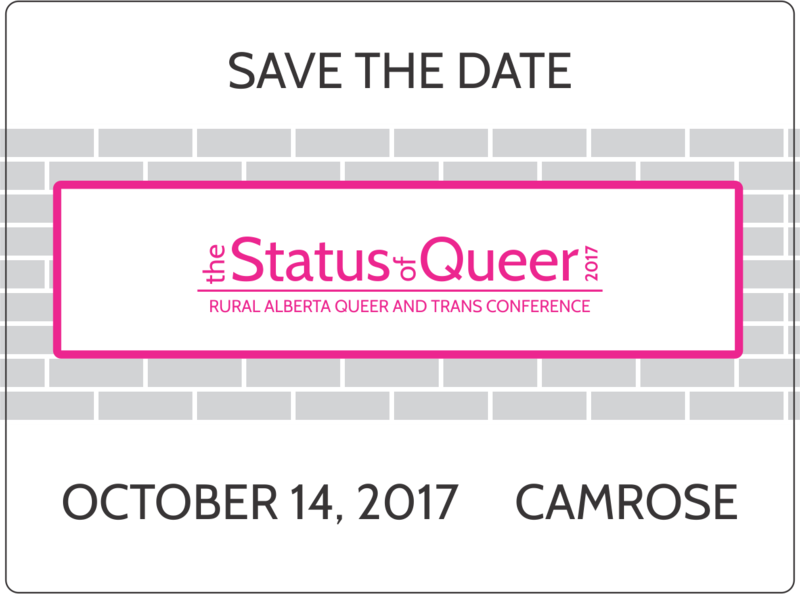 This October 14th, we’re hosting our Status of Queer conference in the beautiful city of Camrose. 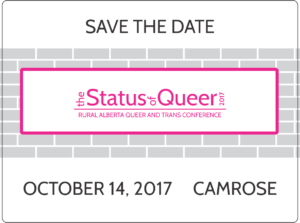 This one-day event will take place at the University of Alberta Augustana Campus and will seek to engage, educate, and inspire people about rural initiatives that support the LGBTQ2S+ communities in our province. Through panels, breakout discussions, and short talks, our goal is to give a platform for rural experiences. Successes and challenges, insights and best practices. Our topics for discussion include rural initiatives and their unique experiences, the value of intersectionality and the challenges rural initiatives can face to be truly accessible, and how faith and spirituaity communities interact with the LGBTQ2S+ communities in rural Alberta. Outside of our panels, we’re giving a platform to rural voices through short talks we’re calling Speak Your Truth: an opportunity for people to get involved and share their stories even if they don’t want to be a part of a panel. Next : OUTlet is Back!! !